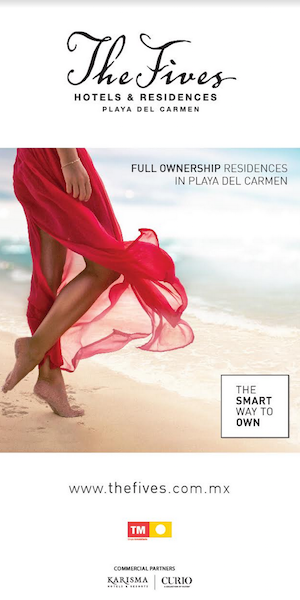 When you think of Mexico, romance might not be the first thing that comes to mind. All-inclusive resorts usually make me think of Spring Break and not honeymoon. 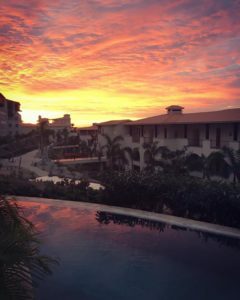 Yet a recent trip to Cabo San Lucas made me change my mind. Cabo San Lucas, located at the tip of the Baja Peninsula happens to be a go-to for celebrities like Jennifer Aniston and George Clooney so no wonder it makes the list of romantic destinations. 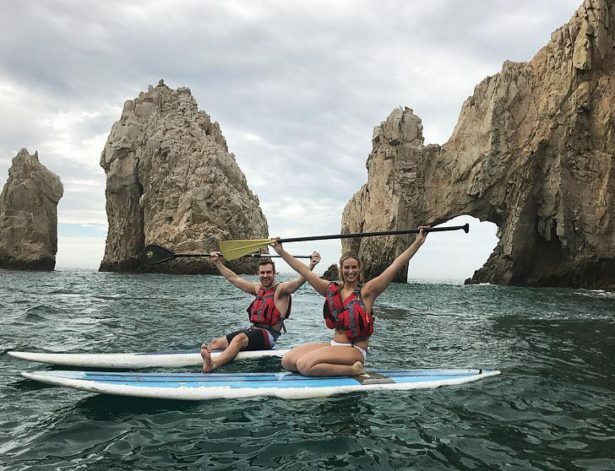 From world classes beaches like Playa del Amor (Lover’s Beach) to adventures waiting to be discovered, Cabo San Lucas is the perfect place to escape with your partner. 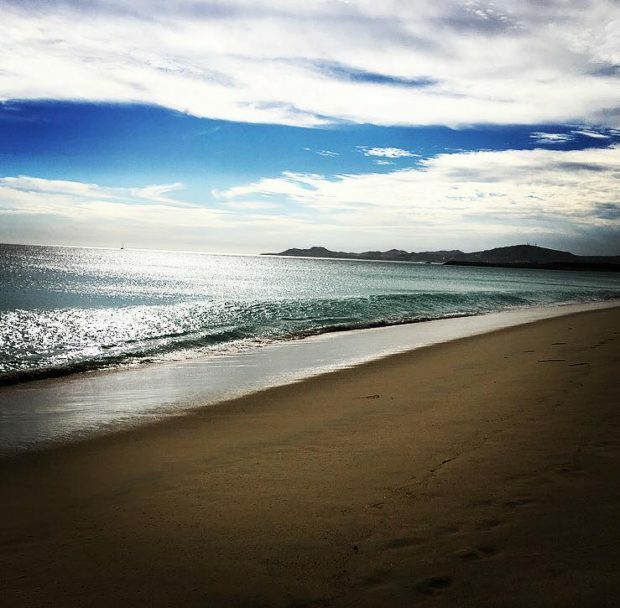 For a romantic getaway with your sweetie, find a spot in San Jose del Cabo. 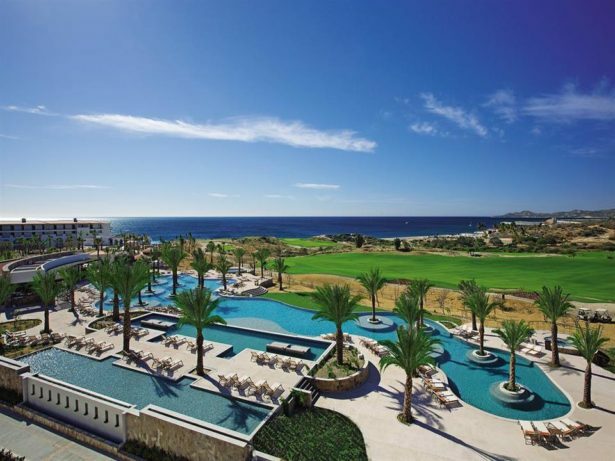 San Jose is considered the mild sister of the ‘wild’ Cabo San Lucas. The quaint town offers local shopping, delicious authentic cuisine, and a historic centre. It’s Zona Hotelera beach area has miles of beautiful white sand. Try and book a room at Secrets Resort and Spa for ultimate luxury. The adult’s only resort offers the perfect places to relax and unwind. Watch the sunset from your personal infinity pool, while enjoying world-class dining with their 24-hour concierge service. The Arch is probably the most well known landmark in all of Los Cabos. The distinctive rock formation is a must see when visiting. There are plenty of ways to get to the Arch. You can take a romantic boat ride or you can be a little more adventurous with your partner. We decided to rent some stand-up paddle boards. I loved this idea because you really get to see the stunning rocks up close and personal, you get to see all the wildlife in the area, and we had a chance to jump in the water and go snorkeling. It was a pretty fantastic experience. Thursday night marks Art Walk in San Jose. The roads in the Gallery District all shut down to motor vehicles and the galleries stay open late so pedestrians can walk around and enjoy the local art. Grab a beer or margarita and take a stroll among local live painters. Stroll down the street hand in hand with your partner while listening to live music and watching traditional dancers. The incredible art makes for a very romantic backdrop. 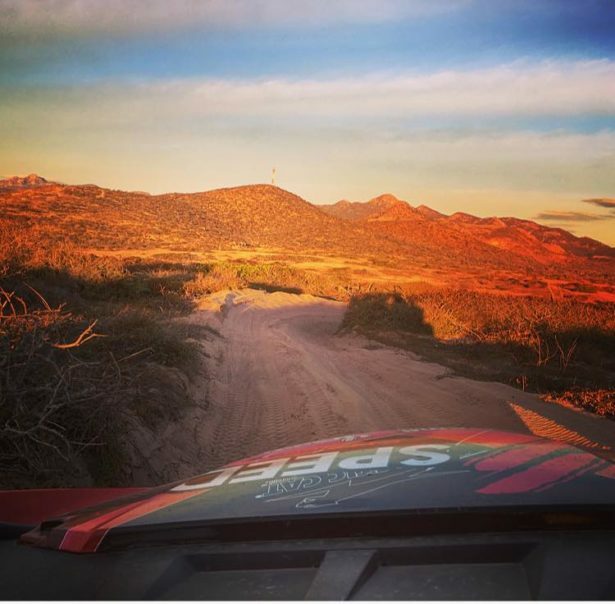 One of the most amazing things about Los Cabos was its beautiful terrain. From the rolling hills of the desert to the calm sandy beaches it really offers two unique worlds. To get the best of both, why not try an ATV tour. We joined Cactus ATV’s for an adrenaline rush. We drove off-road through the desert and finished on the beach where we watch the sunset behind the waters. This fun activity is sure to get both of your hearts pumping. Want to create a memory you won’t soon forget with your partner? Then sign up for a day of swimming with Whale Sharks. These gentle giants are magnificent creatures, and getting up close and personal with them is a truly special experience. We left bright and early for La Pas, a quaint seaside town with plenty of shops and markets. A small boat then takes you out on the water, where you wait until the magnificent creatures are spotted below. You get so close that it is like you can reach out and touch the 24 foot long spotted whale shark. A true once in a lifetime experience to share together. As a celebrity hot spot, there are plenty of luxurious sports to sit and relax with your partner. Our favourite spot was at The Thompson Cape Hotel. This boutique hotel is one of the newer spots in town. Their upstairs rooftop bar offers some delicious cocktails and breathtaking views of the ocean. The perfect spot to reminisce about a truly romantic getaway. From world-class beaches to unique culture, and a beautiful landscape, Los Cabos makes a very romantic getaway for you and your partner.